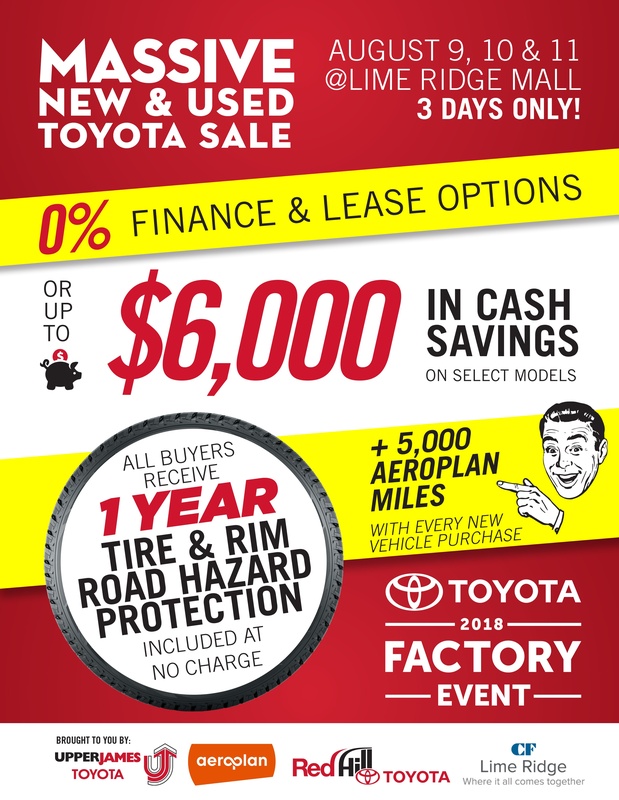 Upper James Toyota | Blog | Let’s Celebrate a Big Toyota Win… With Free Appraisals! Let’s Celebrate a Big Toyota Win… With Free Appraisals! What do the Toyota Tundra, Tacoma, Sequoia, Prius V, FJ Cruiser, 4Runner, Camry and Lexus GX have in common? They ALL contributed to the six Canadian Black Book Retained Value Awards and six ALG Residual Value Awards presented to Toyota Canada Inc. this year! And to top it off – that just happens to be the highest number of CBB and ALG awards among all auto manufacturers. Upper James Toyota is so proud to be a part of the TCI family that we want to celebrate – with Free Appraisals on your vehicle for the month of March! Contact Jason Mladen, Used Car Manager today! *Offer ends March 31st, 2016.